What is America's role in the world today? How does the United States measure up in terms of international influence, economic competitiveness, and social progress? In an era of significant domestic polarization and international conflict, U.S. policymakers seek to reconcile divergent opinions about the country's priorities. The series "U.S. and Them" will examine America's economy, foreign relations, military reach, educational status, and the viability—and relevance—of the American Dream. Tuesday, September 24, 2013 - 7 p.m. 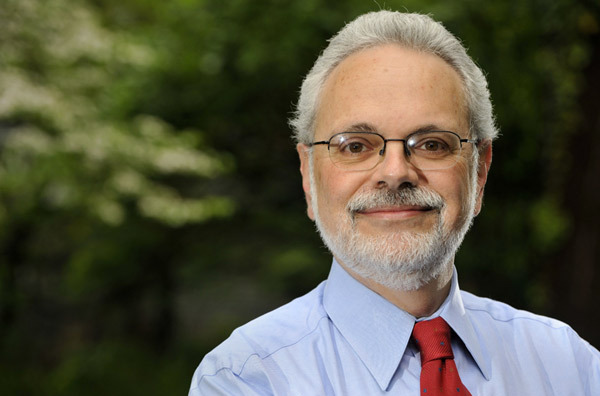 Journalist David Wessel is economics editor of The Wall Street Journal and writes the newspaper’s weekly “Capital” column. His book, “In Fed We Trust: Ben Bernanke’s War on the Great Panic,” was a New York Times notable book in 2009. Wessel has shared two Pulitzer prizes, one for a series on the persistence of racism in Boston (Boston Globe, 1983) and the other for a series on corporate wrong-doing (The Wall Street Journal, 2002). He frequently appears on National Public Radio and WETA’s Washington Week. A 1975 graduate of Haverford College, Wessel is also the co-author of “Prosperity,” a 1998 book on the American middle class. Why Congress isn’t worrying about the federal deficit these days and why YOU should. What factors will determine if the next decade for the U.S. economy is as bad as the last one? Is there any chance it will be better? How is the press dealing with the onslaught from 24-hour cable TV news coverage and the rise of Twitter, Facebook and blogs? Tuesday, October 8, 2013 - 7 p.m.
Susan Glasser is the new Editor of POLITICO magazine. 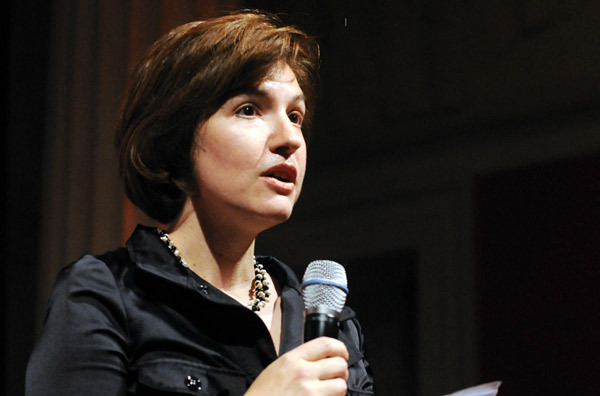 Previously she was editor-in-chief of Foreign Policy, the magazine of global politics, economics and ideas. During her tenure at its helm, the magazine won numerous awards for its innovative coverage, including three digital National Magazine Awards. Previously, Glasser covered the wars in Iraq and Afghanistan as a foreign correspondent and editor at the Washington Post. She was also editor of Roll Call, the newspaper of Capitol Hill, and with her husband Peter Baker, co-authored the book “Kremlin Rising: Vladimir Putin’s Russia and the End of Revolution.” She is a graduate of Harvard University. During the 2012 campaign, Barack Obama and Mitt Romney went out of their way to agree that America is not on the wane. Were they right? Is America's time as the world's lone superpower coming to an end? Why has Obama dramatically pulled back from engagement in the world's most troubled spots? Should the U.S. play a larger role in global conflicts, or is this disengagement what Americans are clamoring for after more than a decade of war? Wednesday, November 6, 2013 - 7 p.m.
Reporter Hedrick Smith spent 26 years at the New York Times, where he was among the team that produced the Pulitzer Prize-winning Pentagon Papers. He also spent several years as the Times’ Moscow bureau chief, for which he won a Pulitzer for international reporting from Russia and Eastern Europe. That experience also yielded his bestselling book “The Russians.” Another of his books, “The Power Game: How Washington Works,” is considered a modern classic and essential reading for DC’s power players. Since 1989, Smith has created more than two dozen primetime specials for PBS, on topics ranging from Duke Ellington’s Washington to “Inside the Terror Network.” He has won numerous awards—among them two Emmys—for this television work. 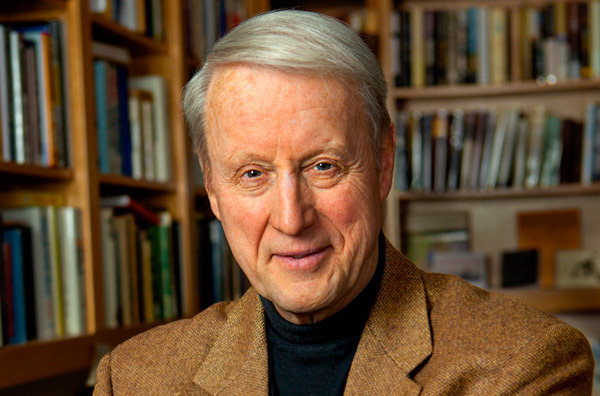 Smith’s book and lecture, “Who Stole the American Dream,” tells the story of how our nation moved from an era of middle class prosperity, power and effective bipartisan politics, to today's polarized politics, starkly unequal democracy, and gaping inequalities in the economy. America’s middle class decline was not caused by globalization, advancing technology and market forces; rather, it was a result of power shifts in Washington politics by both parties that tilted government policy and created the greatest economic inequalities since 16th Century Spain. Our recent economic recovery has not fixed economic inequality. Wall Street celebrates while Main Street stagnates. Today our democracy is starkly unequal. New Date: Tuesday, February 11, 2014 - 7 p.m.
Andrew Bacevich is a professor of international relations and history at Boston University. Time magazine calls him “one of the most provocative—as in thought-provoking—national security writers out there today.” His book, “Breach of Trust: How Americans Failed their Soldiers and their Country” critiques the gulf between America’s soldiers and the society that sends them off to war. 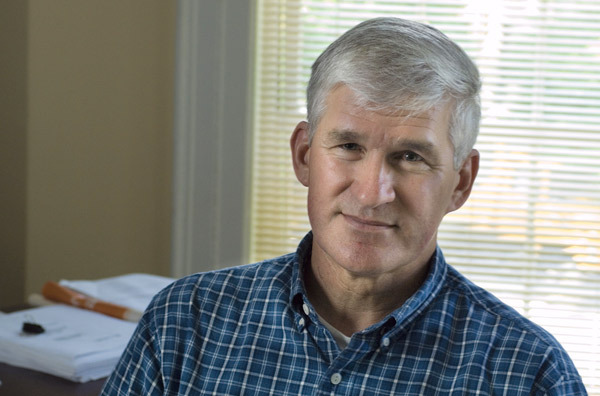 A graduate of the West Point Academy, Bacevich received his doctorate in American diplomatic history from Princeton University. In the U.S. Army, he served in the Vietnam War, as well as stints in Germany and the Persian Gulf. 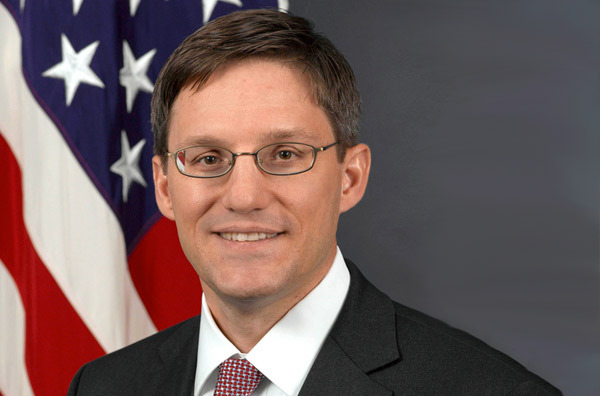 In addition to several books on American militarism and diplomacy, his articles have appeared in the Atlantic, Foreign Affairs and the New York Times. In moderated debate style, Bacevich and Chollet will discuss the following topics and take questions from the audience. What is the right size and role of the U.S. military today? Drones, surveillance and technology – how and when should they be used? Does the all-volunteer military influence America’s willingness to intervene globally? Would a draft reduce U.S. military involvement? Is the permanent commitment of U.S. troops abroad in peaceful nations necessary and sustainable? Tuesday, March 18, 2014 - 7 p.m.
Yong Zhao is an internationally recognized scholar on the impacts of globalization and technology on education. He currently serves as Presidential Chair and Associate Dean for Global Education at the University of Oregon, where he is also Weinman Professor of Technology and a professor in the Department of Educational Measurement, Policy and Leadership. 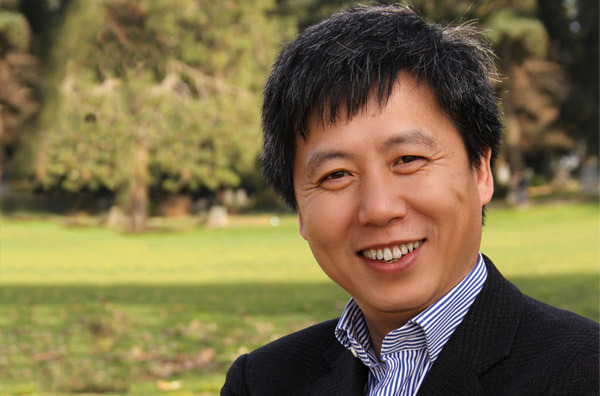 Over the course of his career, he has designed schools that cultivate global competence and developed computer games for language learning. Zhao is the author of more than 20 books, including “Catching Up or Leading the Way: American Education in the Age of Globalization” and “World Class Learners: Educating Creative and Entrepreneurial Students.” A winner of the early career award from the American Educational Research Association, Zhao is a graduate of Sichuan Institute of Foreign Languages and the University of Illinois at Urbana-Champaign. Zhao’s book of the same title, “Catching Up or Leading the Way: American Education in the Age of Globalization,” addresses these and other questions. At a time when globalization and technology are dramatically altering the world we live in, is education reform in the United States headed down the right path? Are schools emphasizing the knowledge and skills that students need in a global society? Or, are they undermining students’ strengths by overemphasizing high-stakes testing and standardization? Are education systems in China and other countries as superior as some people claim? American education is at a crossroads. We need to change course to maintain leadership in a rapidly changing world. How should we redesign our educational system? Lectures are available live on Lincoln Time Warner Cable digital channel #80 and analog channel #99, UNL campus channel 8, and UNL KRNU radio 90.3 FM. All lectures are interpreted for the deaf and hard of hearing.